Superdry Active Studio Bra is rated 5.0 out of 5 by 1. 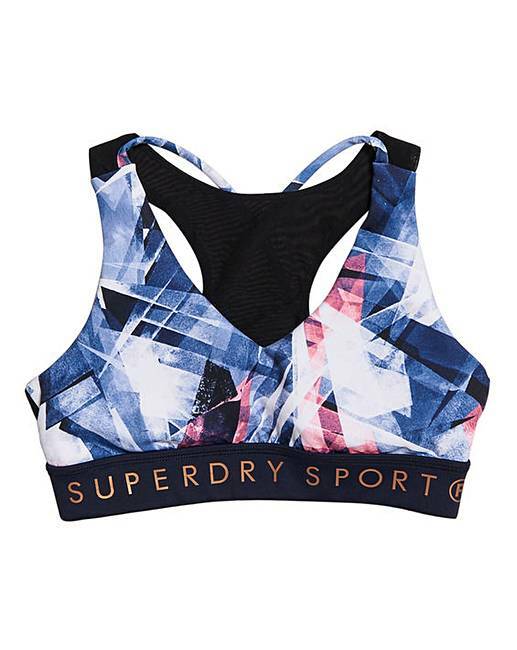 Superdry women’s Active Studio bra. Push for progress this season in the Active Studio sports bra. With mesh panelling to keep you cool and slip in, removable cups for added support, this bra is all about combining style and performance. Four-way stretch fabric helps the bra move with you, while moisture wicking technology keeps you cool. The crossover back and keyhole detailing add a feminine twist, while understated logo branding on the band of the bra adds that finishing touch. Main: 80% Polyester, 20% Elastane. Trim: 90% Polyester, 10% Elastane.